It started with a phone call at work…the kind NO ONE likes to receive. I work as a painting contractor and I take pride in doing a good job, providing a good product, being professional, being neat. When I received this particular phone call last fall though, it was a legitimate complaint about a job I had done. I had messed up, and I was going to have to squeeze some unpaid repair work into my already busy schedule to make it right. I was courteous, apologetic, agreed to fix the problem immediately, but even though I’ve learned from being in business for nearly 20 years not to voice them…my mind was RACING with excuses. “I’ve been doing this for years…and can count on one hand the times I’ve got called back to a job.” It was rainy that day, and even with my painting lights it was extremely dark.” “Most people wouldn’t even notice…and by the way…the previous paint job I covered was TERRIBLE” Yep, I had excuses, dozens of them, “Good ones”. :-) But something happened that day…something great, actually…something I still remember. I started wondering if I could do anything to make my painting process better. Not perfect. Not zero-mistakes-ever. But better…improved…less likely to get a negative phone call. And guess what? I did! That day I came up with a simple, inexpensive way to do that particular kind of job better, even though I’ve been a professional painter for decades! Stop making excuses. Start making improvements. I’m trying to integrate these words into every area of my life. By the time you read this I will have shared this story with our actionchurch leadership team and asked them for their input on areas we need to improve in our organization…areas where perhaps we have VERY GOOD EXCUSES…but also very good reasons that we need to do better. I think you’ll see improvements in 2016 at actionchurch…you may even be part of them! Most of all, though, I wanted to share my story in case you wanted to play along at home. It’s simple. It’s difficult. It’s worth it. All you have to do is stop making excuses, and start making improvements. How amazing would it be to have that freedom? How exciting the trip would be! Oh, to be that spontaneous!! I could just envision the pictures in the scrap book and the stories we could tell when we got to the end of our journey. Soooo – those of you who know me well realize that this particular type of trip is NOT in my future – right? Being the type ‘A’ personality that I am, I must have a back-up plan….just in case. If campground site #1 is not available, I have sites 2, 3 and 4 already circled. If there is a detour along the way, I have a map, the GPS and a diagram detailing the secondary route. It if rains, I have a list of the various activities that we can pursue until the weather cooperates with MY plans. As we’ve been learning about Joshua this month I kind of get the feeling that he must have had a lot of similar personality quirks. I can only imagine that as a younger man when he came back from his spy mission he was probably “rarin’ and ready” to go. He probably had plans and back up plans – he knew where the cities were that had to be conquered – how many giants there were (maybe he even took a survey)- and he knew what he would do if it rained during an attack. But God kind of forced him to “cool his jets”. The Israelites lived on the other side of that river for 40 more years AFTER the spy mission. Joshua had a lot of time to formulate plans and stew over why God wasn’t having them advance into the promised land. I think God’s plan included Joshua maturing into a different kind of leader. When it was finally time to cross the river and reap the rewards that God had promised – Joshua finally knew that it wasn’t his plan that was going to win the land. It was God’s plan. “Whatever happens, happens and then we’ll deal with it.” We can trust God to give us anything we need, to do whatever he asks. It’s taken me a very long time (and lots of hints from my family) to figure out that I am not in control. God is ultimately in control of every single day, of every single minute of my life. I can have as many back-ups to the back-up plans I want. I can stress myself out about the details – but it is soooo much more exciting, so freeing, to follow God’s instructions for my life and let Him make the plan. 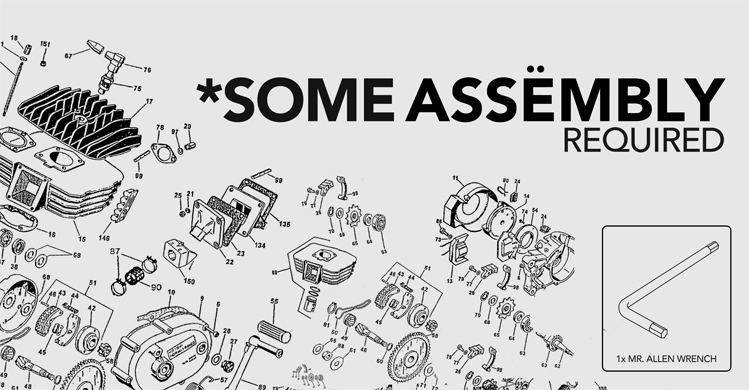 Stuff we’re working on- 2014 edition. 1. 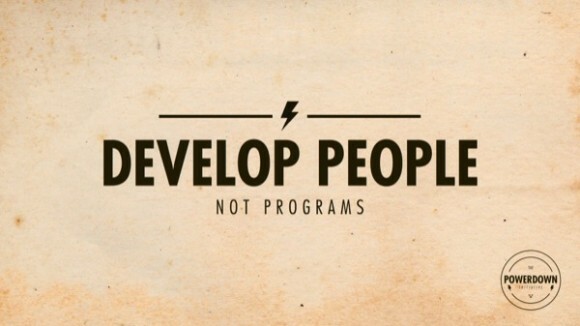 Identify and empower people with abilities and the drive to get things done! Even though the PowerDown initiative was “so last year” we’re going to continue to put big effort and resources into helping people who serve others both inside and outside the church become even better at it! 3. Leverage, Leverage, Leverage. Everything we have in the truck. Everything we have in the bank. Everything we produce. Everyone we know. We want to make sure that we are leveraging everything we’ve been given to the FULLEST to love God, Love people, and Take action! 4. Staging/lighting/front of house. DON’T expect a Kanye Kardashian show :-) …but the Christmas season reminded me that we are STILL using the same minimal set-up that we developed when we moved into Frank Theaters. We can make it visually more appealing…and easier to view from both the “high” and “low” seating as our theater fills up this year. This Sunday, Steve Warrington used an old “Who” tune and the 105th psalm to ask us all a very important question: “Who are you?” I LOVE the answer he provided to that question: “In the end, we are dumb, dirty, defenseless sheep…who follow an awesome Shepherd!” I couldn’t be happier with that description of the growing numbers of people who invest so much of their time, resources, and talents into making this thing we call actionchurch a reality. As I thought about that question after the service Sunday, I couldn’t help think about a few things that actionchurch is NOT. Things that many people have thought actionchurch “IS” but have turned out NOT to be true. I made a little list Sunday…Maybe you can think of more. actionchurch is NOT a building or location. When we began, much of our identity as a church came from being “that church that meets in a bar”. Today, many people get to know us as “that church that meets in a movie theater”. 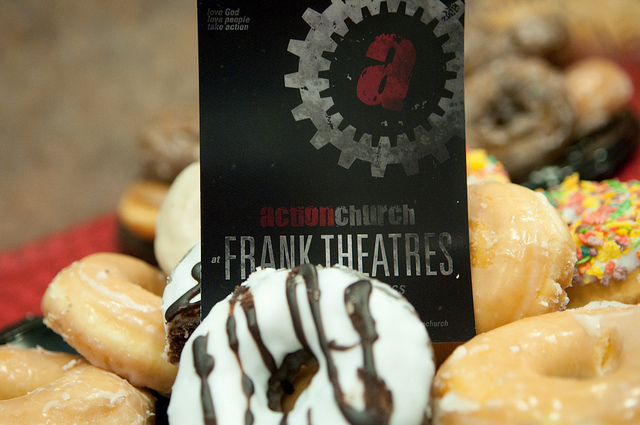 Many thought that actionchurch wouldn’t be “actionchurch” when we moved from Fat Daddies Nightclub…when we moved from Club 19…when we moved into Frank Theaters. Over the years it’s become apparent that a building or location is just that…a PLACE to gather…NOT what gives us our identity. actionchurch is NOT about musical style or genre. 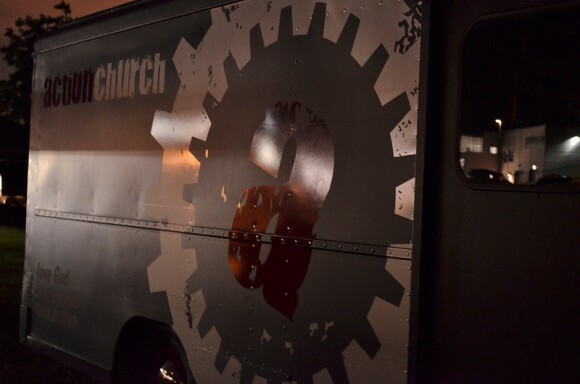 Over the years, many people have associated actionchurch with the bands that play on Sunday morning. We’ve been called “that rock n roll church” and of course “that church that is way tooooo loud” The truth is, we’ve now covered almost ever Genre of music that Steve mentioned Sunday except for perhaps “stoner rock”. It can be country. It can be metal. It can be quiet. It can be loud. It’s still actionchurch. actionchurch is NOT an “organization”. …at least not a very “organized” one. actionchurch has no org chart. The only job titles we use are usually for sarcastic or mocking purposes. No one gets a salary. There are no benefits (except for hard work and constant sarcastic comments and jokes about you from your fellow crew members) We don’t have an office. We barely maintain an email list. Somehow though, amazing things happen each week. People work HARD…really hard. Tough jobs are tackled and great creativity happens. It’s the best “unorganized” organization I’ve ever been fortunate enough to be part of…all because of ONE thing. We are Dumb, Dirty, Defenseless sheep who serve an AWESOME Shepherd, that is where we get our identity as a church. And, because of him, we’re very serious about Loving God, Loving people, and Taking action as he modeled and commanded! It’s a little ironic that I was so wrong about a property called “Wright Brothers Lincoln Mercury”. Three years ago we attempted to buy the property. We attempted to borrow for the property. We talked to bankers and lawyers. 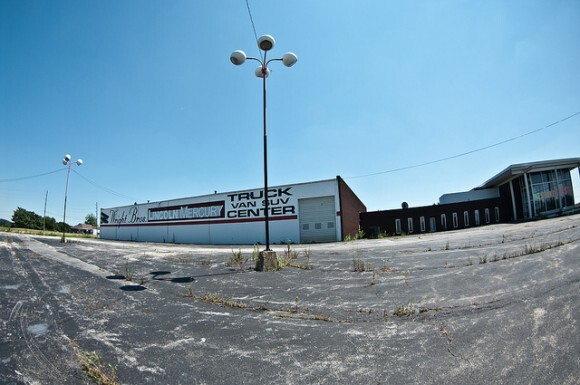 We even asked Ford Motor Company to donate the property to actionchurch. We even considered teaming up with a denomination, in order to get the funding and support necessary to make the property our church home. ALL of those things are actions I’m TOTALLY not comfortable with to this day. But, I attempted all of them in order to purchase or lease the property for actionchurch. I’ve still got the floor plans and the mock-ups of what the exterior would look like as an actionchurch..it was awesome…and I was wrong about all of it. That was VERY clear Sunday as we drove past the excavators tearing the building down to make way for a new hotel. It would be very easy…and a little tempting…as a leader to totally “forget” that happened. Not that many people know that story any more. We are blessed to have a great home at Frank Theaters that looks like it was built for us. We have EVERYTHING we need to reach WAY MORE people than we are reaching now…no excuses. I’d like to just forget about it personally. It’s embarrassing. However, as I study the Gospels and the Book of Acts for the “AFTERWORDS” series, the writers recorded the failures and faithless moments of the apostles, again and again. They could have sanitized the story. The could have made every Apostle look infallible…but they didn’t. Instead, they recorded the truth and let GOD be the hero of the story instead of men.